There are different ways that mobile food vendors can approach in selling their products and services. From bikes to double-decker buses, food vending can take a variety of forms and understanding the associated benefits or challenges is something that business owners must consider. The size of your vehicle can affect your business is many ways and even determine its viability and profitability. In the mobile food industry, size matters. – Click to Tweet! The type of vehicle you use for food vending can limit the revenue you could earn each day, decide parking or vending locations, dictate the type of products you can offer, and impact the bureaucratic process you have to experience. Due to its size and mobility, food trucks are the preferred choice for most mobile food entrepreneurs. It does not require towing or external forces to move, unlike carts or trailers, which makes going to another vending spot to increase sales convenient. It can also easily fit in parking slots designated for one or two vehicles without sacrificing space needed for operation. Food trucks can range from 14 to 30 feet in length and can have fully functional kitchens. Disadvantages of food trucks are mostly shared by all forms of mobile food vehicles: varying licensing and inspection regulations, and resistance from brick-and-mortar restaurants. Some may view the initial investment of retrofitting a truck as high (can range from $30,000 to $100,000) but it is still significantly lower compared to opening a fixed-location restaurant (having an average startup cost of $494,888 according to a survey from RestaurantOwner.com). If lower cost is what you prefer, food carts can be an option. To an extent, with smaller space comes fewer financial liabilities. Initial investment and overhead costs for food carts are cheaper. It is also easier to clean and maintain. Regulatory wise, starting a food cart may also be faster because it is not motorized and requires less licensing unlike a food truck. Food carts can also stay in one particular place for a longer time, in some cases for multiple years, giving it a semi-permanent location that makes hunting for parking space not an issue. But a food cart’s small size also comes with challenges. Typically ranging between 120-200 square feet, food carts can only accommodate a limited number of equipment and inventory. Also, the range of products that can be offered through food carts may be limited to simple fare because products are usually prepared elsewhere. Some customers may also expect prices to be cheaper and restrict a food cart business’ profit margins. Moving the food cart may also pose as a disadvantage, when a location becomes less lucrative, because the cart needs to be towed or pushed either by another vehicle or its operator. One can see food trailers as a combination of food trucks and food carts: it has a larger space that can fit a fully functional kitchen and also have less licensing requirements because it is not a motorized vehicle. Food trailers can serve bigger crowds and offer a wide variety of products that can be cooked on-site, giving it a better pricing and profit potential. 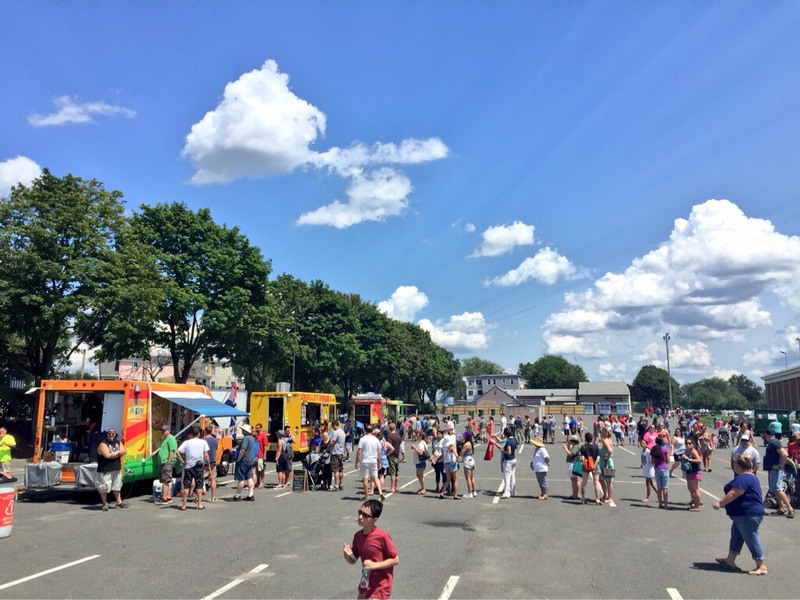 Often found in large events and festivals, food trailers can range from 8 to 53 feet and can be 8.5 feet in width, more than a food truck’s 7 feet limit. The extra space can positively impact the food business’ speed and quality of service. Though it seems that food trailers are the best of both worlds, entrepreneurs need to consider its potential disadvantages. The larger space of food trailers may be great for ease of operation, amount of equipment that can be installed, and storage space for ingredients or inventory but the initial and overhead cost will also be larger. One must consider that the towing vehicle will require maintenance in addition to the food trailer. Also, its size prevents a food trailer from parking in public streets and may be restricted to only vending at certain locations that have large crowds like concerts, festivals, and other similar events to be profitable. Changing locations can also be a challenge and just like food carts, food trailers cannot just suddenly move when not enough customers come. An option for mobile food vendors that is gaining popularity is the food bike. Bicycles and tricycles that are creatively retrofitted now traverse streets to peddle and deliver food to customers. From brewed coffee to breakfast tacos, the products offered by food bikes are as varied as the other forms of mobile food vending. A clear advantage of this approach is the lower startup cost of a food bike compared to other vehicles, which can only reach several thousand dollars. Overhead is also minimized because gas is no longer a requirement to get from point A to point B. Being “eco-friendly” is also an advantage for your company branding. The approach of using a bike is also new and can stand out to attract the attention of customers. Parking or traveling is a non-issue for food bikes, more so in places with dedicated bike lanes (and strictly enforced traffic rules). Some entrepreneurs even say that their bikes are impervious to traffic jams. The viability of using a bike for food vending depends greatly on your products and location. With a bike’s limited capacity having a refrigeration unit, sink, and cooking equipment at the same time will be out of the question. Food can be prepared in advance but in certain cities, refrigeration is a requirement that can restrict food bikes to be “delivery” modes only. Weather in certain places can also prevent entrepreneurs from biking for prolonged periods, especially during winter, increasing the seasonality of a mobile food business using this approach. And even though riding a bike is a good form of exercise, it can still take a physical toll when the prep work and post-vending activities of operating a business is taken into consideration. If you want a unique approach to mobile food vending without sacrificing mobility and space, a double-decker bus transformed into a restaurant might be what you are looking for. Some bustaurants are transformed school or city buses, but typically bustaurants are double-decker buses re-purposed to accommodate a commercial kitchen and an upstairs dining area. Introduced a couple of years ago in the United States, several companies are trying out the viability of the concept to differentiate themselves from the ordinary food trucks. Despite the trend not panning out for some, a few mobile food companies still operate bustaurants in various cities like Alabama, Los Angeles, and New York. Lack of space will not be an issue with this form of mobile food vending and product variety can range from simple street fare to upscale fine dining. Cooking may be illegal while a vehicle is in motion but eating is not and that is what some bustaurants offer: a changing scenery while customers enjoy delicious food. Being different is never easy and this apply in the mobile food industry as well. Strict regulations hindered bustaurants in many cities and the upstairs dining area of a moving vehicle is one of the topics up for debate. Also, a bustaurant can only be driven by someone with a commercial driver’s license, requiring additional training or hiring. The large size of the double-decker bus is an issue not just when traversing tight corners in busy streets but also when a bustaurant blocks an entire establishment when it is parked. Vertical clearance in cities can limit where a bustaurant can travel. With bigger space, initial investment for a standard brand new double-decker bus has a starting price of $250,000 without a kitchen. Add the cost for fuel, labor, special utensils that will not slide when the bus is moving, and other maintenance expenses make starting a bus-based food business seem a huge undertaking. Getting a small and cheap vehicle may save you money initially but if it will take forever and literal Herculean strength to reach your financial target, then a reevaluation of the approach might be in order. Even though no one can predict the future, a good plan before the plunge can prepare you for the best and the worst. But most of all, it can give you the assurance that whatever happens, you did everything you could with the information that you have. Good luck and happy vending! Be sure to check on our Twitter and Foodonatruck.com for more information about Food Trucks and check back here for more blogs! Letter from Jake, our newest team member with 5 years of food truck experience! Grow your mobile business with the POS system focused on your needs. 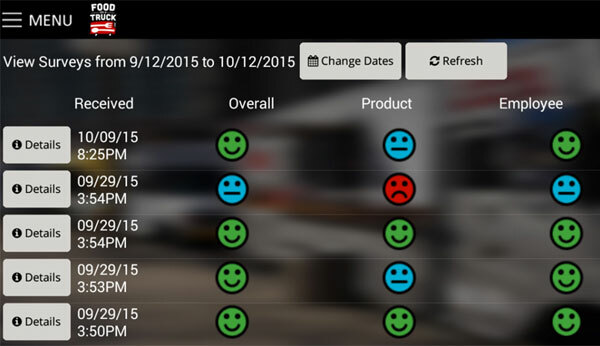 Are Your Food Truck Employees Happy & Productive? Thanks to Sweet Tomatoes Pizza for use of some fantastic images!